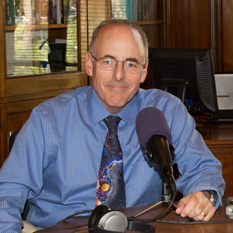 This week's Planetary Radio episode includes a great update on the James Webb Space Telescope from Eric Smith, the Deputy Program Director for the JWST at NASA headquarters. The controversy over the budget for this magnificent new instrument surfaces in the discussion. Some scientists fear that billions of dollars to complete and operate the Webb will squeeze out smaller, yet very worthy projects. Eric wants planetary scientists and others to consider how the Webb's terrific capabilities might help their investigations of our solar system, along with the identification and characterization of extrasolar planets. He counters the view that the Webb will be more or less entirely devoted to answering big cosmological questions about the universe. "It is prudent to be concerned about cost overruns, and there is good reason to fight for research that might otherwise be pushed aside by grander projects. But there is value in all well-conducted science, large and small. A civilization's value is, in no small part, measured by how much it has expanded the boundaries of human knowledge. Were it up to me, pushing those boundaries out to the edge of the universe would be high on any list of national goals, and worthy of investment at every level." And then I said I welcome your comments. Well, here's the place to deliver them. I'll just add that my thoughts are entirely my own, and do not necessarily represent Planetary Society policy or beliefs. I look forward to seeing your thoughts!